Do you remember the uncomfortable feeling you had when your grandmother first commented on one of your Facebook posts? Or when you discovered she had an Instagram account? 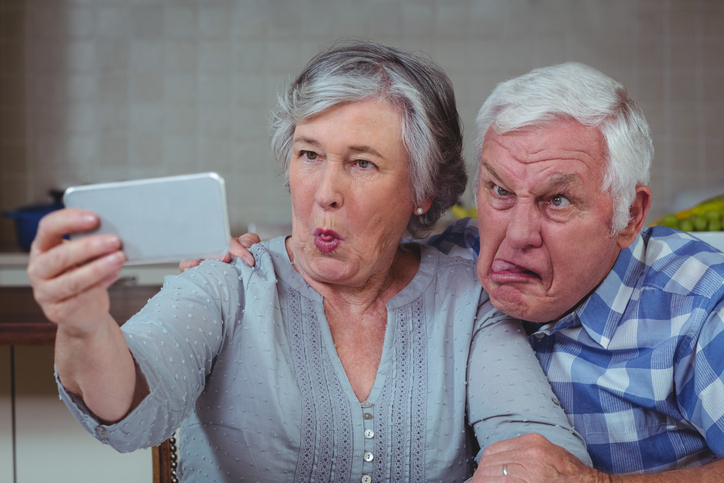 Seniors have many reasons for starting their e-journey: Facetiming with their grandkids, texting their friends, managing their money, accessing their local library… Given how digitally connected the world is in 2018, it was inevitable that seniors would find their way online. Field Day recently studied changes in media use in the two years between February 2016 and February 2018. People were asked to name their sources of information for events and destinations. One of the results of the study: there has been a clear and dramatic rise in use of digital media by those over 65 years of age. 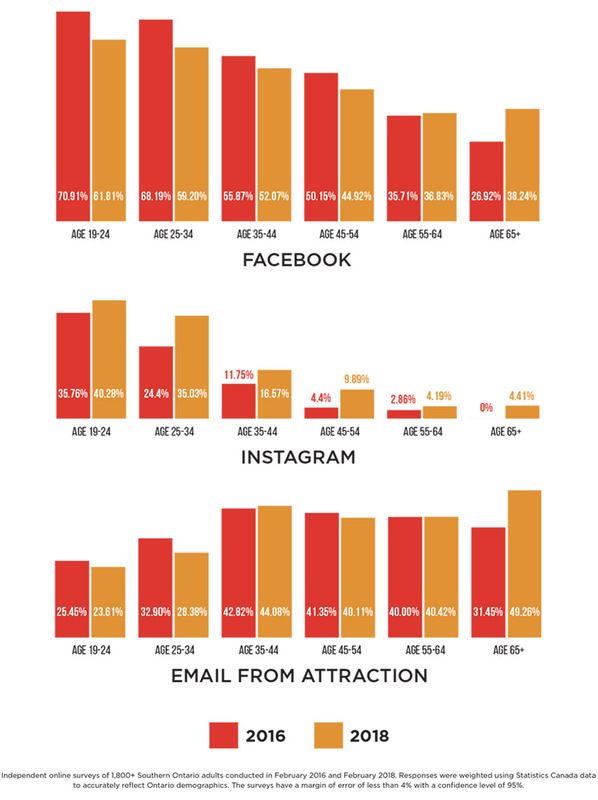 Facebook use by those 65+ increased from 26.92% to 38.24%, Instagram from 0% to 4.41%, and e-mail from 31.45% to 49.29%. Meanwhile, traditional media use declined – especially reliance on newspapers, radio and television. This trend will continue in the future as tech-savvy boomers move into retirement. As well, our research shows that seniors are looking for activities that provide inner fulfillment and connection to the world around them: travel, arts and culture, philanthropic or community-based activities. While many organizations are focusing on how to engage young consumers in order to “future proof” themselves, seniors are a viable segment who can be reached with an effective digital marketing strategy. One example: employing senior e-influenceurs. Field Day understands how and why consumers make their arts, sports, destination and travel decisions. We identify viable target segments for our clients and create compelling marketing campaigns that drive attendance.